Quality Management Solutions, Inc. (QMS) a leading global provider of high quality SAP Consulting Services for the Manufacturing sector, proudly announced today that it has completed its acquisition of Xpand Consulting, a long time provider of SAP QM consulting services and training videos. QMS announced its intent to acquire Xpand in July 2014. “The acquisition of Xpand will add additional innovative products and solutions, as well as deep SAP Training and Enablement expertise and further broaden our offerings. QMS is committed to providing our customers with new options and continuous improvement to their SAP Enterprise Solutions. 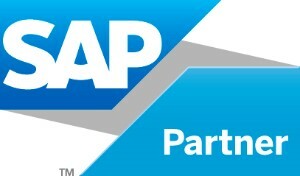 Our innovative and proven “Best Practices for SAP” continues to be a highly attractive option for the industry. Our team is excited about our additional expansion and the ability to further serve our customers”, said Mike Krug, President of Quality Management Solutions, Inc. (QMS). New QMS offerings and products from the acquisition will be announced in Q4, 2014. About: Quality Management Solutions, Inc. (QMS): QMS is an SAP America Partner and has earned a global reputation for quality leadership, resources, and delivery of SAP. QMS is the preeminent quality expert in SAP, with decades of combined industry and business experience. QMS is dedicated to developing advanced solutions for SAP manufacturing environments and bringing those results to our customers in affordable and innovative ways. Our number one priority is to partner with our customers to make meaningful impacts on their businesses, enabling our customers to achieve their business objectives. Since its inception, QMS has experienced rapid growth, quickly earning recognition as one of the most innovative, trusted and successful SAP consulting solution providers in the U.S. and around the world. QMS is an SAP Consulting Firm that takes the time to understand the unique technology needs for each situation, and then helps our customers achieve the best value from their investment in SAP. QMS is a trusted partner for obtaining quality, efficiency and value from technology. QMS is, first and foremost, a team of talented individuals with world-class skills in a wide range of technology solutions. QMS has worked extensively with companies in Manufacturing, Medical Devices, Scientific Instruments, Biotechnology and Biopharmaceuticals and Pharmaceuticals. QMS also works with Food, CPG, and Chemical companies as well as Automotive and Equipment manufacturers. They have used this vast industry experience to develop their “Solution Set” offering of “Best Practices” for the implementation of SAP. **SAP, SAPPHIRE, and all SAP logos are trademarks or registered trademarks of SAP AG in Germany and in several other countries. All other product and service names mentioned are the trademarks of their respective companies.